Computer Rescue | We fix computers fast! 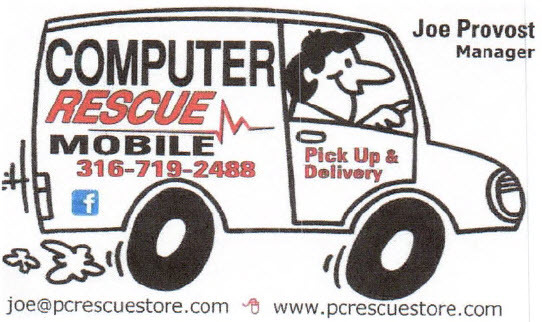 Computer Rescue has been serving the computer needs of South Central Kansas including Haysville, Wellington, Clearwater, Derby, Mulvane, Belle Plaine, Oxford and surrounding towns since 2011. Our staff includes specialists in computer hardware, repair, and networking.